Hey everyone and happy THURSDAY! I have been out of town for the past few days, a bit of work a touch of fun, happy to be back in the CLE area. I noticed when I pulled into my driveway I had missed all the leaves falling and am left with a big pile to rake up this weekend. So pretty, loving yellow leafy driveway. Anyhow, I asked my good friend and fashionable advisor Danielle DeBoe if she would care to take the floor today and share with us some great trends for fall fashion. As the owner of Room Service, Made in the 216 and co-founder of Dredgers Union, she is always in the know of what one should wear! Thanks Danielle for the amazing post! 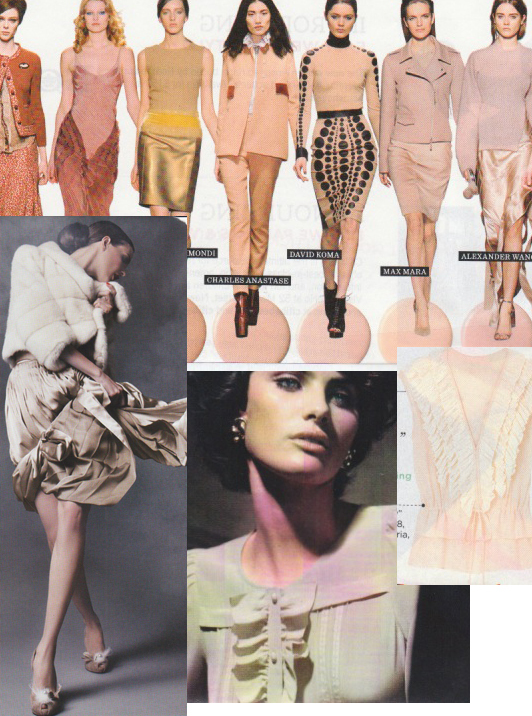 (below) I particularly LOVE me some leopard prints and some blush tones…let’s shop soon! Oh, besides this amazing post, Danielle & I will be partnering on a fun holiday event, Wednesday December 7th, save the date, more details to come…now…onto fall fashion trends. “Fall. AKA: Autumn. I have a love/hate relationship with it. I love the hot hot heat, the longer days & sun-kissed skin of Falls’ predecessor: Summer, but I would willingly trade all of it in come October for the snuggly sweaters, leather boots, wool hats and layering opportunities afforded by Fall…it’s just a shame that it has to be followed quite so quickly by it’s replacement: Winter. All of our seasons have their virtues, this is true, but it could be argued that none are quite as special as fall as no other incites quite as much excitement for fashion as this season. I have compiled a couple examples of Fall trends for Women that I am particularly excited about and how my new store, with designer: Sean Bilovecky, The Dredgers Union, is offering some of these trends. 2. 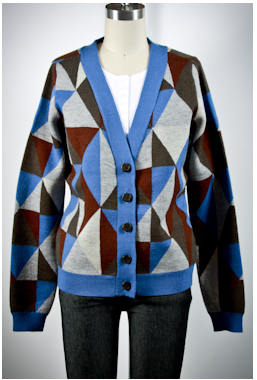 Quiksilver Cardigan AVAILABLE AT DREDGERS UNION now! Only $128. found HERE. Now, if you ask me there is NEVER a time where hats are not appropriate or en vogue. I will concede that some seasons play them up more than others and this Fall would be one of those seasons. I am particularly fond of the breadth and variety of hats one should confidently be donning this season. From the bowler to the fedora (it’s back), to the newsboy and cloche, it seems they are ALL relevant this season. DU has many hats this season, the ones I have selected below are just a sampling. Animal prints will be found on everything this season. Outerwear, hats, handbags, blouses, even denim. Personally, I LOVE this trend. I think a simple outfit of all neutrals or black and then ‘popping’ it with just the right amount of animal print is so compelling. Fashion is about self-expression and this trend always reads to me as ‘fun’ and ‘self-confident’. 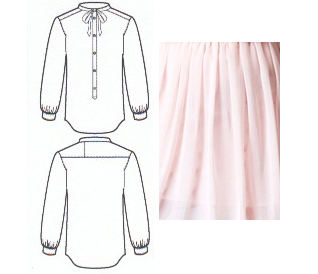 Above is a blouse and hat that will be found at Dredgers Union this fall. Another trend is of preppy classics including fresh takes on plaids. Dana has updated our DU private label boyfriend fit woven with a pleated detail at the sleeve and with this jewel-toned plaid. I am so excited to get this little number in next week! Trends are fun to play into and explore, but I really believe there are no rules in fashion. It is a form of self-expression, it is about feeling good. Have fun with this season, layer up within an inch of your life, or keep it really basic, just stand straight and keep your head high and you can get away with anything! fashion show @ unique thrift! This Saturday “Unique” is hosting it’s first ever “Spring Fashion Show.” I have NO idea how this event will go down but I do know it will be worth stopping in from 1-3pm just for the…A) special markdowns, B) the people watching will be incredible and C) did you know “Unique” offers FREE coffee for all shoppers? I know this might sound a bit sassy, but truly I adore this store. I can’t tell you the number of “finds” I’ve scored there. Everything from a traditional Burberry trench to a fondue pot, from various silk kimono robes to numerous picture frames perfect for spray painting. The list goes on and on. Cleveland, let’s support this store, stop in on Saturday to find out what the “hottest looks for spring & summer will be!” See you there. We know her for her beauty, her legacy and the numerous films the graced on the silver screens, but did you know Katharine Hepburn is being honored for her style and fashion excellence at Kent State University? After a series of sold-out pre-opening events and the 25 Years of Dazzle gala celebrating the museum’s 25th anniversary, the Kent State University Museum opens its highly anticipated exhibition Katharine Hepburn: Dressed for Stage and Screen on Oct. 2, 2010, making its world premiere. Would you and a friend (2 tickets) like to see the exhibit for free? Tell me your favorite Hepburn film, include your email and Friday at noon I will choose the winner! For up to the minute show details visit miss mastermind Danielle’s blog I’m sure she will have fun stuff to say this week. We are so excited to see what creative displays and new artists she has unearthed. Hope to see you there.